Novelist Milly Johnson discovers an inspirational Britannia, and imagines an atrium encounter with Hercule Poirot. The first word to pass through my brain when I saw the Britannia from the outside was simply, “WOW!” But there were no initial words for the inside because I was left speechless, and for anyone who knows me, that is no mean feat. Even though she shares many of the favourite features of her sisters in the fleet (my beloved Crow’s Nest for instance) there is a grace about this ship which is unique, as if the designers have pulled out every stop they could fi nd and really listened to what passengers have suggested. There is a 1930s Art Deco air, so much so that I almost expected to bump into Hercule Poirot in the stunning Star Burst atrium (on pleasure, rather than business, one hopes). This might be a family ship, but it’s also fabulously accommodating to those who have chosen it as a romantic getaway. There are secluded couched snugs up by the pools, sumptuous seating everywhere and hundreds of places to which to escape for tea, or cocktails for two. The food is always good on P & O ships, but the boat has been well and truly pushed out on Britannia’s fare. That’s what you would expect with the assemblage of big-name chefs advising on the menus. An Eric Lanlard pudding is half art-work, half aphrodisiac – and don’t even get me started on the quality of wines stocked. It’s wonderful to see the presence of the Glass House on the ship, here a more sophisticated space of old-age glamour than on the Azura, but easily as welcoming and restful, and home to my favourite tipple – the sparkling Peller Ice Wine Cuvee which is, in my opinion, the best fizz for filling a flute when you have something special to celebrate. The spa is a port of tranquillity, so heavenly I expected to see clouds beneath my feet rather than a floor. The scents there make you fl oat. Everyone should go there at least once, then melt back to their cabin with body pampered and mind rested. Stress and romance are sworn enemies. If you can’t relax on a ship, you won’t relax anywhere. Even the carpeted corridors are sophisticated and whoever chose the cabin beds should be canonised. We just did not want to get up – even for a famous P & O breakfast. The game has been raised with the cabin design – both practically and aesthetically. The rooms feel just that little bit more cosy on this ship, the soft furnishings more plush. Everywhere I looked was more gorgeous than the sight before. And so clever to have shorter lengths of seating in the theatres for ease of access. It’s little touches like these that show the care and attention which has been taken. Minor things have power to make or break a holiday. In short, I cannot wait to be on that ship, hear the horn, see the anchor raised and be part of a merry throng sailing into the sunny horizon. I’ve met some of the nicest, friendliest people of my life on board and I imagine the Britannia will make people smile a lot. I spent a chunk of time on the visit looking for a suitable place to stow away. 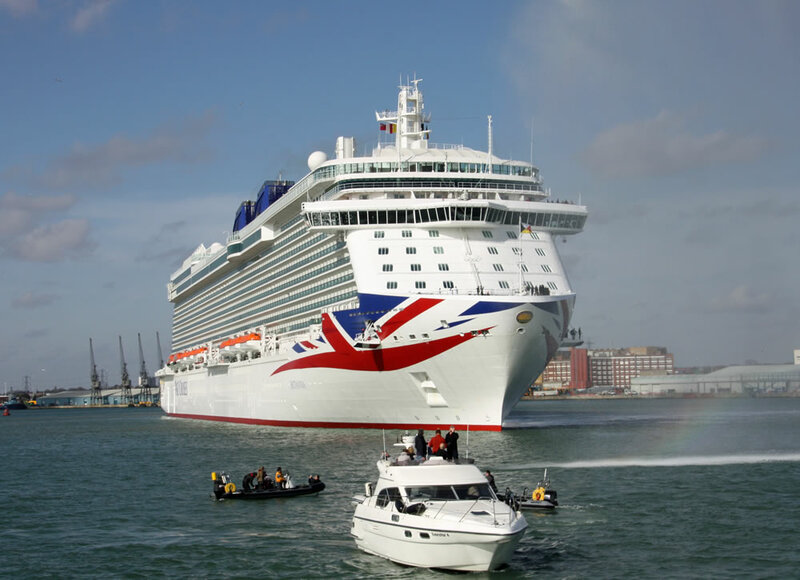 You can read the rest of Milly Johnson’s review of Britannia in the April/May 2015 edition of World of Cruising magazine available here. You can subscribe to our cruise magazine here. 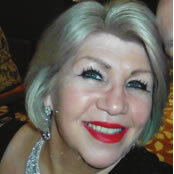 Milly Johnson is a Sunday Times Top 10 best-selling author of 11 books and two novellas. Her novel, ‘Here Come The Girls’ features a 17-night cruise on a fictional P&O Cruises ship, Mermaidia.